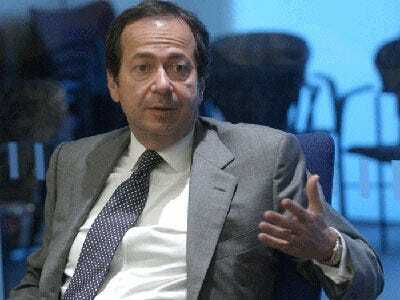 John Paulson’s latest 13F is out and much looks the same as the previous quarter, though he did jump into energy full throttle in Q4, opening huge stakes in Transocean and Andarko Petroleum. He’s also partial to healthcare stocks — he increased his Genzyme stake and opened new positions in Medtronic, Baxter and Teva Pharmaceutical. But his beloved gold and financial stakes still comprise his major positions — apart from Comcast and now Anadarko, Paulson and Co’s top 10 holdings are either gold-related or bank stocks. However, he did decrease his stake in Citi, Anglogold and BofA. Still, even with those decreases, his top four stakes were SPDR Gold Trust. AngloGold, Citi and BofA.